GIE Agora and COBOL-IT have signed a nation-wide agreement that allows the MSA to embed COBOL-IT‘s Open Source technology in their legacy software solutions. With this global agreement, the applications of the GIE will use the COBOL-IT Compiler Suite Enterprise Edition, allowing GIE Agora and the MSA to receive significant technical and financial benefits. This new Solution Stack is a highvalue alternative compared to the previous COBOL solution. The site license agreement authorizes all of the GIE Development Centers to use the professional Open Source solutions provided by COBOL-IT on all available Open System platforms. With 60,000 programs and COBOL modules, 2500 transactional screens, and more than 200 developers, this migration is projected to be complete within 2 years. The AGORA product consists of two main applications developed separately for the National and Regional Offices of the MSA. The two software systems are implemented in two separate Production Centers (SIGMAP 59 and SIER@ 82). « COBOL-IT is differentiated from other providers of Open Source COBOL solutions by its professional organization. », said Philippe Fraysse, co-founder of COBOL-IT. « The entire organization is built around solutions that have been certified and validated by industry-leading providers of services and enterprise software solutions. ». « This is why COBOL-IT can be used by mission-critical legacy systems that have the highest standards for reliability, performance and scalability, with the guarantee of fast response times. », added Philippe Fraysse. COBOL-IT is the first company to offer a high quality professional Open Source COBOL compiler to large enterprises seeking to migrate, deploy and maintain their COBOL applications at the lowest cost and lowest risk. Founded in 2008, COBOL-IT has rapidly assumed a position of leadership in the global COBOL community, migrating hundreds of customers, with hundreds of thousands of users and hundreds of millions of lines of COBOL code. With a robust product suite and a proven migration process, the company provides solutions that allow enterprises to preserve the functionality of their strategic COBOL applications with superior performance, agility and a significant reduction in costs. COBOL-IT Technical Hubs located around the world guarantee that our clients have access to expert, responsive technical support and high quality services. Partnership agreements between COBOL-IT and the leading platform vendors, providers of technical services and software solutions in Open Systems ensure that moving to COBOL-IT can be accomplished at low cost and low risk everywhere in the world. 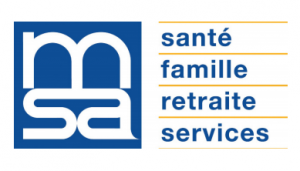 With close to 27.5 billion euros paid out to 5.6 million beneficiaries, the MSA is the second largest provider of Social Security benefits in France. GIE AGORA is responsible for the new software development, maintenance and choice of software tools used by the entire MSA organization. MSA Information Systems are architected to manage two separate functions: Systems Planning ( MO- arMOnia), and Systems Implementation (ME-AGORA). About GIE AGORA : GIE AGORA are experts in IT management solutions with over 400 employees and offices in Montauban, Avelin and Bagnolet. GIE AGORA is responsible for the evolution of the software and hardware architecture of the MSA, participates in strategic planning and produces technical studies in association with the MO and the centers for the implementation of the Strategic Plan (SDI). The AGORA software product at the heart of the Information Systems was written in the 1980’s and 1990’s in a mainframe environment. The mainframe technologies were migrated in the late 1990’s to a UNIX environment. Since then, the product has evolved progressively towards open software technologies (J2EE/Linux/Open Source). At the same time, the AGORA software product has continued to evolve, and now includes rules engines, message-oriented middleware (MOM), data manipulation tools and a distributed service-oriented architecture.